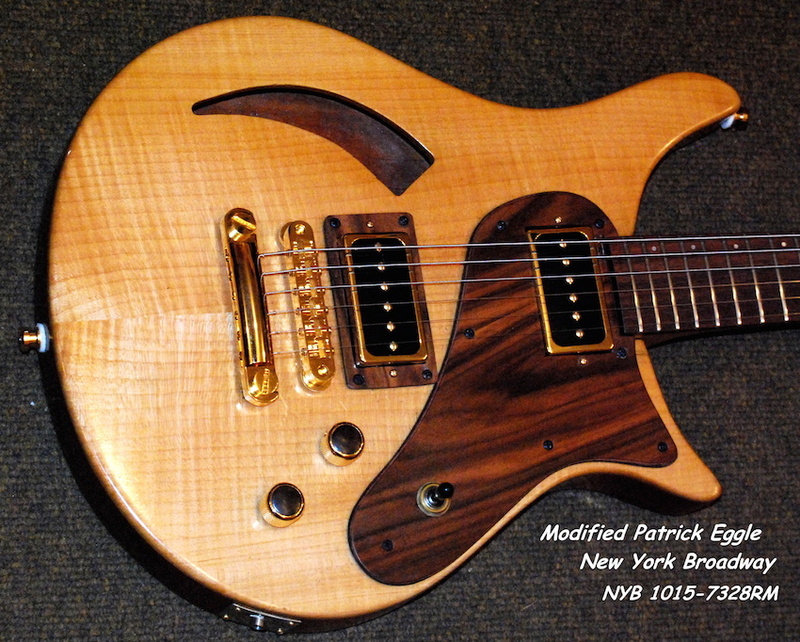 FOREWORD Tony likes Patrick Eggle guitars from the 1990s because they are very well made and a little unusual. With the exception of his acoustic (which is the only non Patrick Eggle), Tony has restored and modified all his guitars, which makes each one unique and personal. 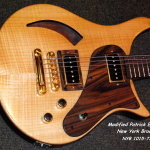 PATRICK EGGLE GUITARS LTD Patrick Eggle, a talented luthier, started making his own guitars in the late ’80s and became incorporated in 1991. The company quickly gained a reputation for superb quality guitars and, for a while, it looked as though they may pose a threat to the well established brands, but due to ineffective management (especially poor marketing) they didn’t gain the recognition they deserve. The company continues under the same name, but Patrick left in the ’90s and a succession of owners have failed to make a real impact on the market. For more pictures and information, click here. Made in 1993, this guitar was a wreck when Tony bought it in 2003. He restored it, including refinishing. New pickups were fitted and they were wired so that each one can be tapped independently of the other to give a truly versatile guitar. Also made in 1993, this guitar is well used with many “credibility” marks. It is used for Shadows tunes when a truly authentic sound is required. A more refined version of the Berlin Pro with gold hardware and maple leaf inlays at the 12th fret. Tony has also renovated and altered this guitar to suit his requirements. Although made of genuine parts, this guitar was put together by Tony. P90 pickups and unwound strings make this guitar suitable for jazz. Made in 1994 and originally black, this has been refinished and refurbished. Otherwise, as original. 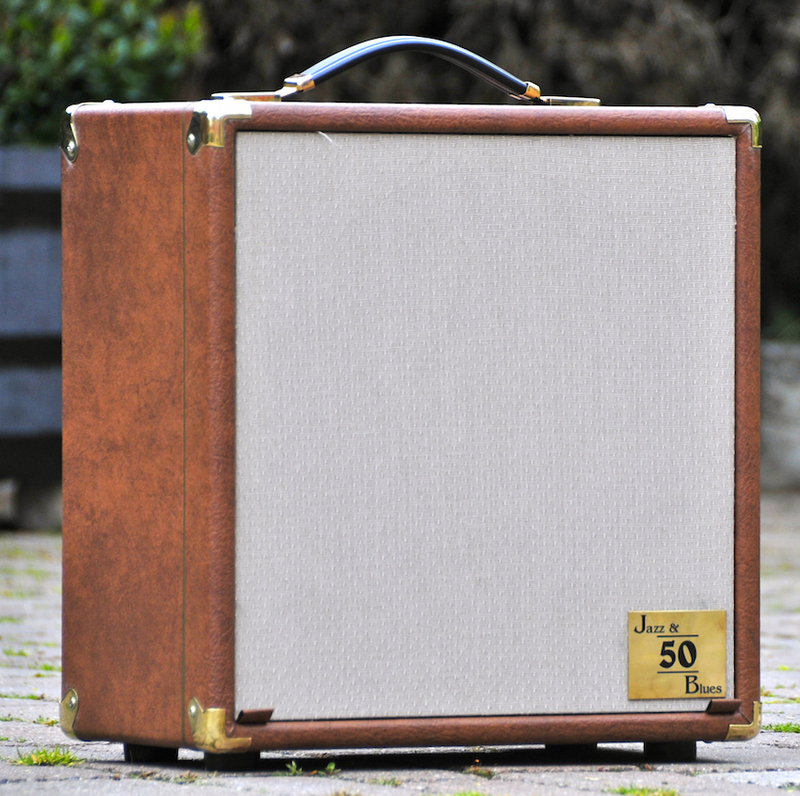 Tony is a fan of Matamp, a small company in Yorkshire that has been making amplifiers since the 1960’s. This is one of a few made as prototypes for the Adrian Ingram signature model. Having outgrown the need to have an amplifier stack, Tony prefers this handy amplifier with the big, deep, mellow tone. 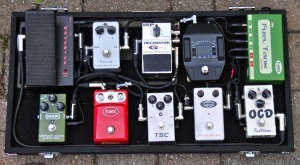 From top right anti clockwise: power supply, radio receive/tuner, noise gate, compressor, wah-wah, delay, chorus/flanger, TSC Overdrive, Treble Boost, OCD Overdrive. These pedals together with the main guitar give an authentic sound for everything from Shadows to Led Zeppelin. A medium/high quality electro/acoustic guitar made by Yamaha. Tony chose it for these reasons and because it has an outboard pre-amplifier, which, because it is not mounted within the guitar’s body, does not affect the guitar’s acoustic sound.